I got this from a blogsale to try out. I have use fit a few times its really nice and soothing and I am enjoying using it so far. Glad I bought it from a blogsale as it is practically full and only cost £6 ! Again I bought this for use at camp. I have quiet good skin at the moment due to being outdoors all the time so I didn't actually need too much coverage. I choose this because has SPF in too. I picked this up in Chesire Oaks outlet store the other week I managed to get £5 off so I thought that was a good bargain. I wanted to try this out and was actually going to get some in the airport before my holiday ! 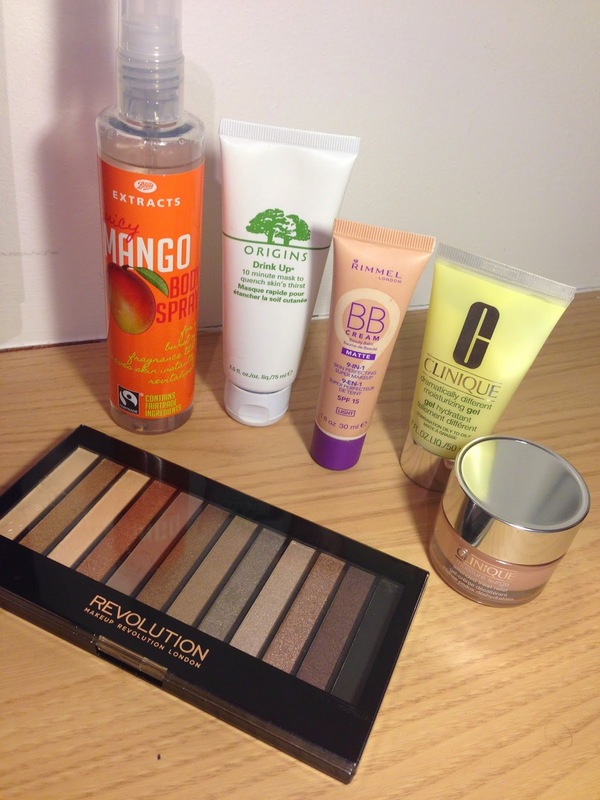 I have joined the hype and decided to try a Make up revolution product. I Love this palette the colours are really nice and for £4 why not try it out.